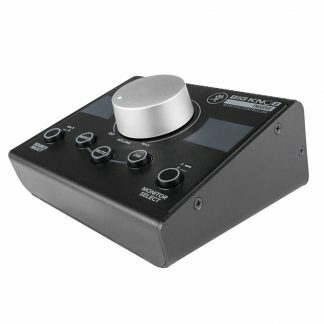 Incredibly accurate stereo monitor controller with color graphical LCD display. 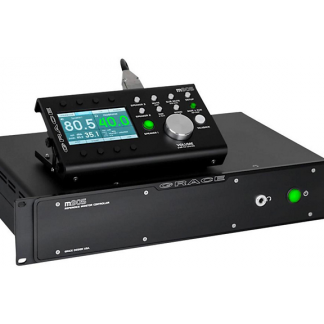 The m905 is one of the world’s most accurate stereo monitor controllers, with built in mastering quality Digital to Analog Converters, audiophile-grade headphone amplifier and unrivaled system configuration tools. 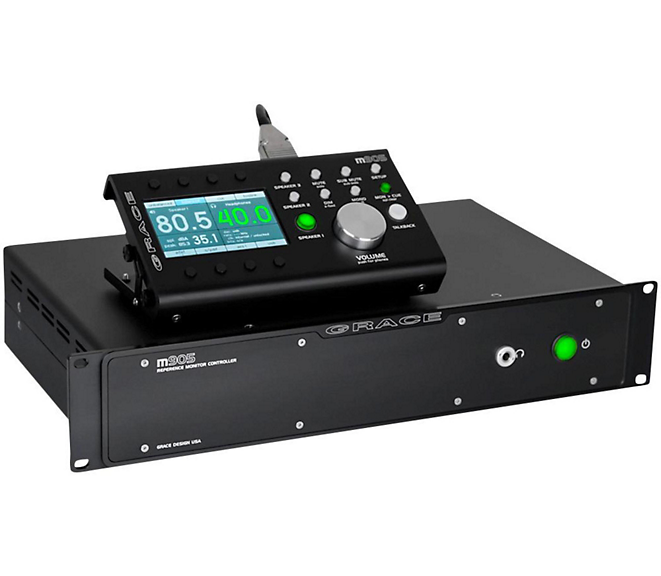 For hardworking audio professionals and studios that demand the very best playback available. The m905 is Grace Design’s second generation stereo monitor controller, engineered from the ground up to provide unrivaled sonic purity with a comprehensive and powerful feature set. The m905 represents a new benchmark for audio playback quality. 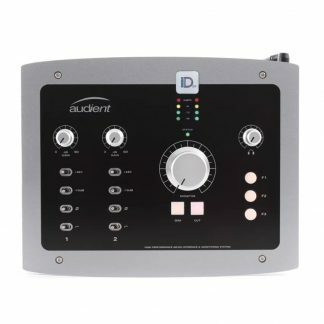 DAC performance is on par with the finest esoteric mastering equipment available. Grace Design’s redesigned s-Lock™ PLL ensures ultra-low jitter clock regeneration. An asynchronous USB class 2 interface allows the m905 to act as the master clock of the computer’s USB audio buss, effectively eliminating interface induced jitter for computer audio playback. 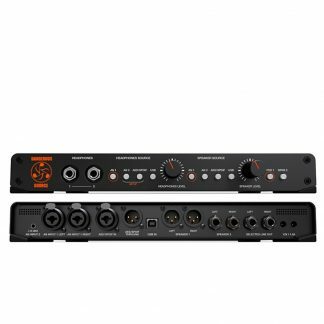 And finally, meticulous analog circuitry measures with outstanding numbers in dynamic range, distortion and noise performance, ensuring bracingly open, detailed and musical playback of any input source. Now supported is DSD 128x (5.6448MHz) via DoP v1.1 (DSD over PCM frames). DSD audio can be sourced from the AES3, S/PDIF or USB digital inputs. While still a niche playback format, DSD has held its ground over the years, and now more and more content is available via download. And playback is now supported by a number of players. DSD sounds stunningly natural, especially rendered through the rest of the playback circuitry of the m905. Intuitive, reliable and beautiful, the m905 is the perfect studio centerpiece!